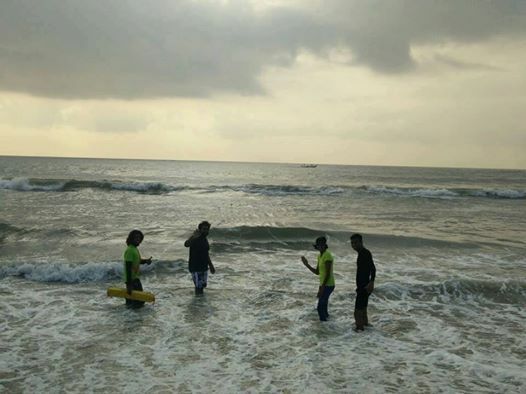 For the first time in India, BayofLife brings to you a two day workshop on ocean swimming. Wether you are a triathlete or a beginner swimmer this workshop is for you. An adventure awaits for those who want to overcome their fear of the ocean. BayofLife will be conducting an ocean swimming session for those who are interested in making the ocean their playground. Understand and read ocean conditions, wave formations, ocean currents and a lot more by going for a swim with us. On the contrary to numerous myths about how the ocean, you will be able to see for yourself that it is in fact quite safe and enjoyable environment. Conducted by award winning ocean experts at Bay of Life. 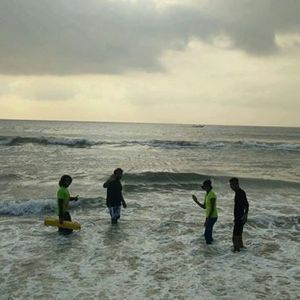 India’s first and Tamilnadu’s first recognized and Accredited Surf School. A social enterprise for Sustainable water and sea sports and inclusive development, also involving the local communities as the beneficiaries to keep the beaches clean and tourist friendly. The prestigious WFR Certification from NATIONAL OUTDOOR LEADERSHIP SCHOOL, WYOMING, USA. With trainers and certified Life Support Professional and AWARD WINNING LIFE GUARDS, our safety compliance makes our lessons safe and fun for all age groups. We teach you to respect the ocean and learn how to enjoy it safely. Understanding and studying the ocean, currents and the weather is knowledge you can take back home and use it for a lifetime. Are you ready for the swim of your life?